Yes, I know I've missed a day or two of giveaways. That's because, well, sometimes life happens and gets in the way of my blogging. But I haven't forgotten about you peeps, and neither have the wonderful people at Finch Publishing, who have given me a cracker of a prize. Finch, an independent Australian publishing house based in Sydney, is committed to publishing books that change lives - family, health, memoir, social ecology, relationships, and society. So it seems only fitting that they have sponsored my giveaway in aid of the victims of Australia's natural disasters this summer. Finch is also behind the giveaway of Katrina Beikoff's memoir, No Chopsticks Required (My Family's Unexpected Year In Shainghai), which is a super read and is valued at $29.95. Today, I have a pack of four fantastic books published by Finch. 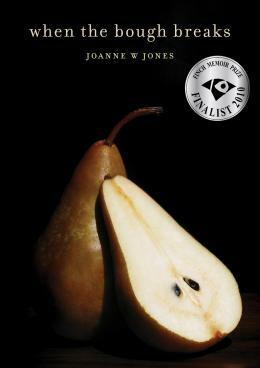 When the Bough Breaks, by Joanne Jones - a memoir about one women's journey to self acceptance after IVF failed and she was unable to have children. RRP $29.95. Helping Your Baby to Sleep, 2nd edition, by Anni Gethin and Beth Macgregor. RRP $29.95. Everything a parent needs to know to help their baby to sleep. Diary of a First Time Mum, by Nicole Hall - An amusing record of the unpredictable life of a new mum, complete with doubts, delights and sleep deprivation. RRP $26.95. Each of these books are awesome and would be a fab prize on their own. But because they are all relevant to Mums, I thought I'd package them into one big prize. Wouldn't these books be perfect for a new mum, mum-to-be, or someone who is trying to conceive? To enter, simply follow my blog if you're not already doing so, (just click on 'followers'), and then leave a comment below. Entrants must be survivors of the Australian natural disasters or be entering on their behalf. Prize drawn on Friday February 18. Great give away for any book lover who got hit by the floods and lost all or nearly all most of their books to start their collection up again.